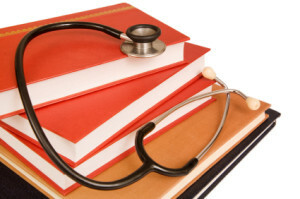 Home › FAQ › How Can You Specialize a Medical Degree? If you plan on becoming a physician, you will need to learn how to specialize a medical degree as you complete medical school. No matter what state they practice in, all physicians are required to complete residency training that focuses on a medical specialty and these professionals may decide to go on and specialize their practice in an area of medicine once they are licensed. There are many benefits to specializing a medical degree. Not only will you gain credibility in a specific area of medicine, you will also have a target audience to market to so that you can generate new business and keep your practice thriving. If you plan to work in a hospital, specializing your degree will help you compete against other physicians who may have more professional experience but on a broader scale. Read on, and learn about the specialties that you can choose from and what you need to do to select one. What Are the Most Common Specialties Selected? There are more than 120 different specialties and subspecialties that you can choose when you are earning a medical degree. While there is a need for experts in every specialty, the demand in specific areas is higher than others. This is why there is a common list of specialties that physicians choose while they are still training. According to the American Medical Association, the most common specialties include: emergency medicine, family practice, internal medicine, obstetrics-gynecology, orthopedic surgeon, pediatrics, psychiatry, and surgery. Only after you have explored your options and selected the best match for you can you actually specialize your medical degree. You will need both educational and clinical experience to specialize in any area of medicine. This is why it is important to find an option that interests you and fits your lifestyle before enroll in medical school courses. In the first years of medical school, you will learn then general information physicians need to know to care for patients. You will take basic courses in science and medical ethics your first year, followed by the clinical-based second year. During your third year of medical school, you become part of a medical team and will rotate through many different specialties so that you are immersed in all of them. The fourth year is when you will focus on specializing and choose which specialty has interested you in the prior years. This is why you select specialized courses that pertain to the area of medicine you are choosing to work in following school. After you get a specialized education in medicine, you will need to pass a licensing exam so that you are considered a specialist, according to the Association of American Medical Colleges. Your scores will be reviewed by institutions when you apply for residencies, so it is important to take these exams seriously. You should find out which exam your state board will require you to take before you are able to prove that you are an expert in the field. With more and more people gaining access to healthcare, the demand for physicians who specialize in the key areas of medicine is growing. Be sure that you understand what the qualifications are, what the salary ranges are, and how demand is projected in the future. After you do this, you can learn how to specialize a medical degree in that practice area and work towards your future.